It doesn’t matter how good your message is. If your English text is badly written or badly translated, it may cause people not to want to read it. They may even leave your website and go elsewhere. Here are some common problems to avoid. Click here if you would like to read my blog article on this subject. I can help you to feel confident about your English texts so that you can get on with doing your job! Maybe you realise the benefits of using English to communicate with potential customers, but you don’t have access to a translation or marketing department to help you with your materials. Perhaps you’re already using English at work, but you would like a second opinion for documents that could be seen by a lot of people, or posts that will be posted on your Facebook, Twitter, Xing or LinkedIn accounts. Maybe you’re happy with the content, but you’re not too sure about the grammar or whether the text flows well. My English good-to-go service takes the stress out of producing texts in English. Whether you need proofreading, translation or a text to be written based on your ideas, I can help. This month is even better because I’m offering 10 30-minute, free taster sessions so that people can use the service and see what I can do for them. So if you’re interested in booking a taster session, let me know and we can discuss what you want to use the 30 minutes for and what we can reasonably achieve in this time – either working together, or with me working independently on a proofreading or translation task. I have 10 available sessions and they need to take place before 31st October 2016. One session per person, subject to availability. 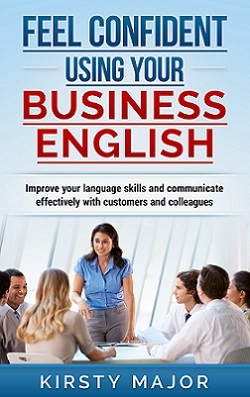 You can find out more about English good-to-go here.